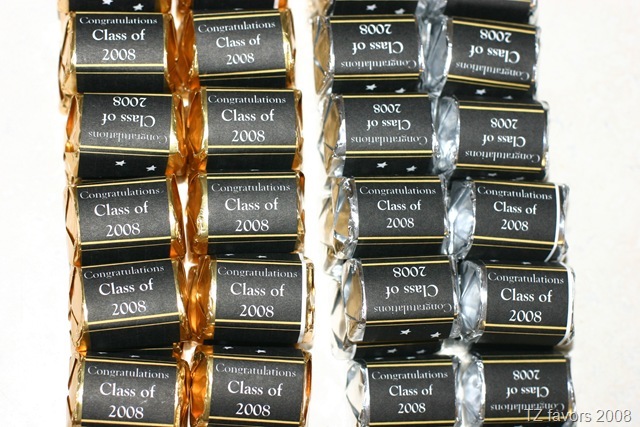 Last night I worked on these favors for Chelsea's senior dinner tonight at the Career Center. 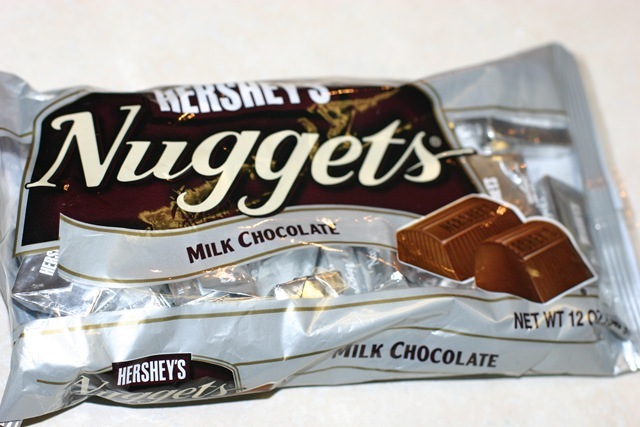 The first ones I made with the Hershey Nuggets and printed on address labels. 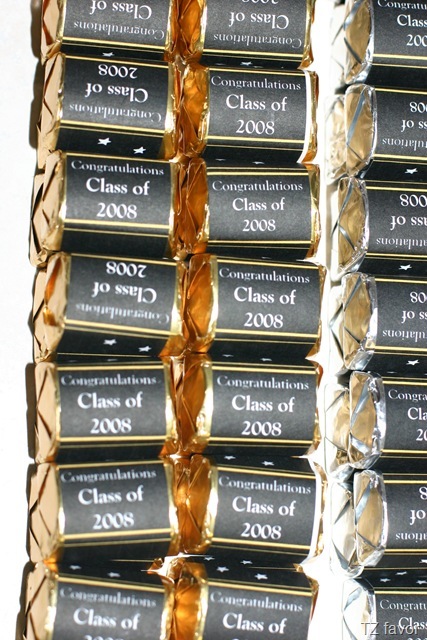 Depending on the chocolate (dark or milk chocolate) will depend on the outside wrapper color. 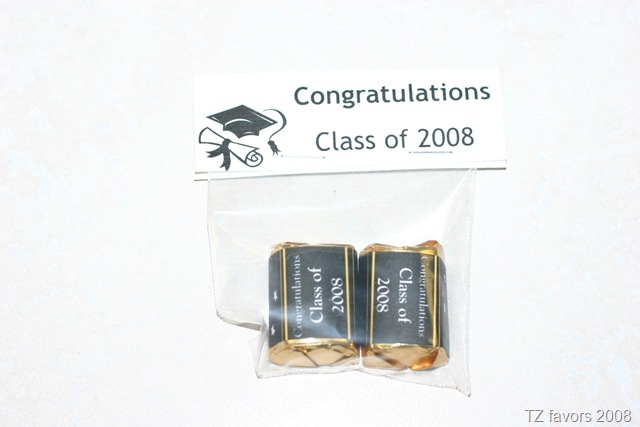 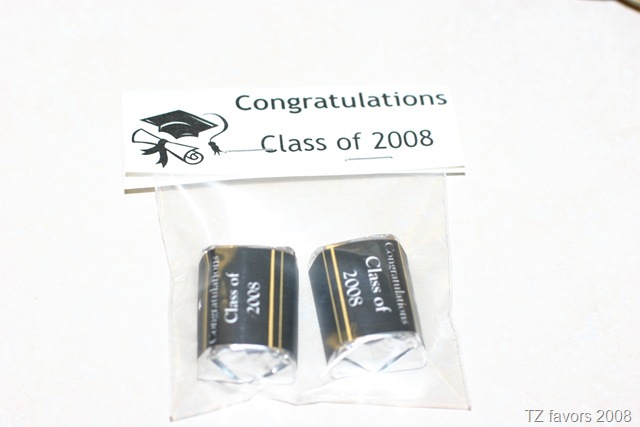 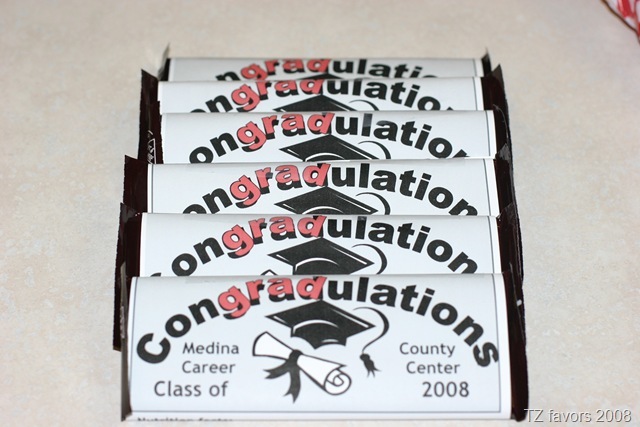 For all the students I made candy bar wrappers on regular paper and taped to the candy bars.